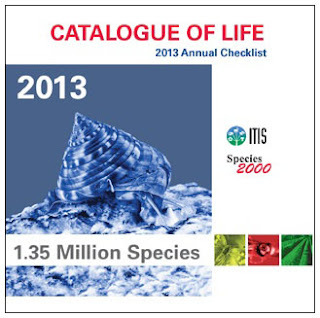 To kick off our new Taxon of the Day series we are featuring the sea snail that adorns the cover of our 2013 Annual Checklist DVD. Calliostoma zizyphinum (Linnaeus, 1758) commonly known as Painted Top Shell, is a marine species found in western Europe, with this particular specimen photographed in NW Galicia, Spain. It is classified in the Catalogue of Life under the phylum Mollusca, which with 100,000 species is the second largest group in Animalia. Within Mollusca it forms part of the class Gastropoda or gastropods which is an extremely diverse group with an estimated 80,000 species, 30,245 of which can be found in the CoL. This group covers what we commonly think of as snails (with shell) and slugs (without). More well known members include terrestrial species like the common garden snail and marine inhabiting British seaside delicacies whelks and winkles. The word ‘gastropod’ is derived from Greek with ‘gastros’ referring to stomach and ‘podos’ foot - so stomach-foot. This is because it was incorrectly thought that snails and slugs crawl on their bellies when in fact they have their stomach in a hump on the upper side of their body. In many gastropods this hump is covered in a shell. Our in-house resident Mollusca expert Dr Kunze comments “Calliostoma zizyphinum’s most interesting feature is its nice tentacles with papillae”, but to the uninitiated the shells are quite nice too. Welcome to the Catalogue of Life Blog!